Resistance to plants is often attributed to physical, morphological, physiological, biochemical, molecular and genetic characteristics of the plants. As the information about the relationship between physico-morphic characteristics of commercially grown okra cultivars and resistance or susceptibility to Helicoverpa armigera is lacking, therefore, in the present study relationship between physico-morphic characteristics and resistance or susceptibility of okra cultivars to H. armigera was evaluated. The heights and stem girths of comparatively resistant varieties were statistically greater as compared to intermediate resistant and comparatively susceptible varieties. Contrarily, hair densities on leaf midrib and leaf lamina were comparatively less in case of comparatively resistant varieties as compared to intermediate resistant and comparatively susceptible varieties. With one exception in each category, no significant differences were observed regarding area, moisture, thickness of leaves and fruit length of okra varieties. The leaf area was slightly greater in comparatively resistant varieties. Similarly, fruit was found to be significantly more in case of comparatively resistant varieties as compared to intermediate resistant and comparatively susceptible varieties. It was also observed that fruit and shoot infestation was the maximum on comparatively susceptible cultivars while infestation was significantly lower on comparatively resistant cultivars. Similarly, the pest produced significantly more eggs and larvae on comparatively susceptible cultivars as compared to comparatively resistant ones. As comparatively resistant okra varieties viz. Bhindi Punjab Selection, Arka Anamika and Bhindi Sabazpari suffered less damage and yielded more and are therefore, recommended for cultivation to avoid damage by Helicoverpa armigera. AKK, HJ and TM designed the study, executed experimental work and analyzed the data. HJ supervised the work. TM helped in preparation of the manuscript. Okra, American boll worm, Resistance, Susceptibility, Physico-morphic characteristics. Okra (Abelmoschus esculentus L.), is one of the popular nutritious vegetables of North-East Africa and South Asia including Pakistan. Okra is highly cultivated vegetable in Pakistan (Javed et al., 2009). The total okra production in the world is 4.8 million tons, where India contributes 70%, Nigeria 15%, Pakistan 2%, Ghana 2%, Egypt 1.7% and Iraq 1.7% (Gulsen et al., 2007). There is a progressive increase in the cultivation of okra in Pakistan, with the cultivated area of about 14.47 thousand hectares and annual production of 109.24 thousand tons (Anonymous, 2006). Successful production of okra is threatened by many biotic factors including plant pathogens (Ashfaq et al., 2017; Aslam et al., 2017a, b; Kayani et al., 2017, 2018; Kayani and Mukhtar, 2018; Khan et al., 2017; Mukhtar, 2018; Mukhtar et al., 2017a, b, 2018; Tariq-Khan et al., 2017) and particularly the insect pests (Javed et al., 2017a; Kassi et al., 2018; Nabeel et al., 2018). Among insect pests, fruit borer, Helicoverpa armigera is the major pest of different crops and vegetables all over the world (Jallow et al., 2004; Reddy et al., 2004; Mironidis et al., 2008; Yu et al., 2008). The larval stage directly causes damage to flowers, buds and fruits leading to heavy yield losses in various crops. Annual losses worth US$ 2 billion have been estimated in semiarid tropics even though US$ 500 million worth pesticides have been applied to control the pest (Sharma and Ortiz, 2002). Synthetic pesticides are extensively used for controlling this insect pest especially in Pakistan. These pesticides have dreadful side effects and resulted in resurgence of secondary pests, environmental pollution, elimination of beneficial fauna, pest resistance to specific insecticides and various human health problems. To do away with these side effects, alternative approaches must be adopted to reduce dependency on these lethal pesticides. One of such approaches for controlling this pest is the use of resistant cultivars which are economically feasible, environmentally benign and secure. The resistant cultivars can minimize yield losses and can also be used as a constituent of integrated pest management programs along with other control strategies (Rahoo et al., 2017, 2018a, b, 2019). Resistance to plants is often attributed to physical, morphological, physiological, biochemical, molecular and genetic characteristics of the plants. As the information about the relationship between physico-morphic characteristics of commercially grown okra cultivars and resistance or susceptibility to H. armigera is lacking, therefore, in the present study effects of some physico-morphic characteristics were investigated in imparting resistance to the insect pest. Nine okra varieties were tested to evaluate the physico-morphic characters imparting resistance or susceptibility to H. armigera. These included three comparatively resistant (Arka Anamika, Bhindi Punjab Selection and Bhindi Sabazpari), three intermediate resistant (Rama Krishna, NS-810 and Baharti Kaspori) and three comparatively susceptible cultivars (RK-516, OH-152 and Tarnab Nargis). The experiment was conducted at the University Research Farm Koont of Pir Mehr Ali Shah Arid Agriculture University Rawalpindi, Pakistan. Randomized Complete Block Design was used to evaluate okra varieties. Plot measuring 40′ × 10′ was used for each variety with three replications. The overnight-presoaked seeds were sown in each plot with plant to plant and row to row distances of 60 and 75 cm, respectively. Irrigation was applied as per requirement. 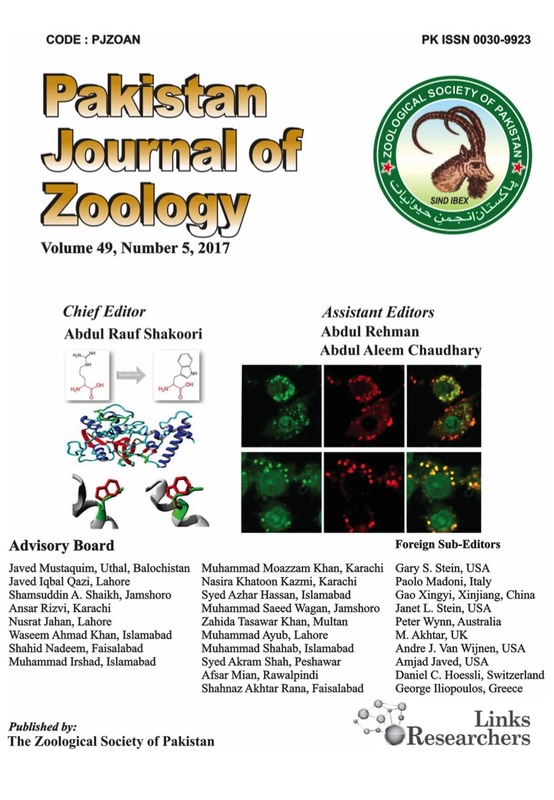 Data regarding number of eggs, larval population, shoot infestation and fruit infestations were recorded as described previously (Fateh et al., 2017; Javed et al., 2017b). Following physico-morphic characters were studied to investigate their role against infestation of H. armigera. Height of ten randomly selected plants from each replicate of each treatment was measured with the help of meter rod at an interval of 40, 90 and 140 days after emergence of okra plants and finally their averages were computed. The stem girth was recorded from randomly selected ten plants from each experimental unit with the help of measuring tape at an interval of 40, 90 and 140 days after emergence. Total primary branches arising from the basal node were counted from randomly selected ten plants in each plot and their average was worked out. Three top leaves from randomly selected five plants from each plot were taken and hair density was noted under stereoscopic microscope from leaf midrib (cm-1) and leaf vein (cm-1). Three pieces of leaf lamina each of one cm2 area was cut from each top, middle and lower portion leaves from ten randomly selected plants from each experimental unit. Number of hair/cm2 of each piece was counted under microscope and their averages were worked out. Table I.- Number of eggs, larval population, fruit and shoot infestation of Helicoverpa armigera on different okra varieties. Mean sharing similar letters are not significantly different by LSD Test at p=0.05. CS, comparatively susceptible; IR, intermediate resistant; CR, comparatively resistant. Three fruits from five randomly selected plants of each entry were taken and their hair density (cm2) was noted under stereomicroscope. Three leaves each from upper, middle and lower portion of the selected ten plants from each test entry were selected and brought in the laboratory. Leaf area (cm2) was measured with the help of leaf area meter at an interval of 40, 90, and140 days after emergence. Three top leaves each from randomly selected five plants per plot were taken. Cross section of the leaves was cut with the help of a fine razor and thickness of lamina was determined with the help of an ocular micrometer under binocular microscope. Three samples each of 10 g leaves from top portions of different plants were taken from every plot. All the leaves were cleaned with muslin cloth, weighed and kept into drying oven at 100 ± 5°C for 12 h. The dry matter of leaves were weighed and kept back into oven at the same temperature for another six hours. After the weight of the dry material becomes constant, the moisture percentage was calculated. Three full-grown edible fruits were taken from five randomly selected plants of each test entry, their length and width were determined by meter scale and averages were worked out. The data regarding fruit and shoot infestation percentage, physico-morphic characters of different varieties were subjected to statistical analysis by COSTATC package and their means were compared according to DMR-Test at 5% level of probability. The data were then processed for simple correlation analysis to determine their impact on fruit infestation caused by H. armigera. It is evident from Table I, that maximum fruit and shoot infestation was recorded on comparatively susceptible cultivars while infestation was significantly lower on comparatively resistant cultivars. Similarly, the pest produced significantly more eggs and larvae on comparatively susceptible cultivars as compared to comparatively resistant ones. Numbers of eggs, larval population, fruit and shoot infestation on each variety have been shown in Table I. Table II.- Hair density on leaf midrib, fruit, leaf lamina and leaf veins on selected okra varieties. Mean sharing similar letters are not significantly different by LSD Test at P=0.05. H. armigera. 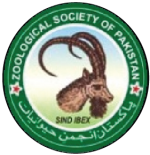 The findings are not similar to the results observed by Javed et al. (2009) on Rama Krishna with 9.42% fruit infestation. This variation in infestation might be due to differences in temperature, humidity and rainfall. Arka Anamika and Bhindi Punjab Selection were found comparatively resistant varieties with 3.26 and 4.05% fruit infestations, respectively. The findings are in accordance with those of Akhter et al. (2014) who also found that Punjab Selection was moderately resistant against H. armigera. Significant variations were observed in plant heights and stem girths among nine okra varieties belonging to different groups of resistance. The heights and stem girths of comparatively resistant varieties were statistically greater as compared to intermediate resistant and comparatively susceptible varieties. However, with few exceptions these parameters were statistically similar in intermediate resistant and comparatively susceptible varieties. On the other hand, no significant difference was observed in number of primary branches among the three categories of okra varieties as shown in Figure 1. Okra varieties showed significant variations in hair density on leaf midrib, fruit, leaf lamina and leaf veins as shown in Table II. Hair density on leaf midrib was comparatively less in case of comparatively resistant varieties as compared to intermediate resistant and comparatively susceptible varieties. Similar is the case regarding hair density on leaf lamina and leaf veins. On the contrary, hair density on fruit was more on comparatively resistant varieties as compared to intermediate resistant and comparatively susceptible varieties. With one exception in each category, no significant differences were observed rgarding area, moisture and thickness of leaves of okra varieties. The leaf area was slightly greater in comparatively resistant varieties as shown in Figure 2. With few exceptions no significant differences were observed regarding fruit length among all the nine varieties, although fruit length was found to be more in case of comparatively resistant varieties. Similarly, fruit was found to be significantly more in case of comparatively resistant varieties as compared to intermediate resistant and comparatively susceptible varieties. Minimum fruit weight was recorded in case of comparatively susceptible varieties as shown in Figure 3. Earlier many researchers have studied different physico-morphic characters of different okra cultivars and reported variations in them (Hussain et al., 2014, 2016; Mukhtar et al., 2014). In the present study, fruit width and length of Arka Anamika was different from those obtained by Farooq et al. (2002) in an earlier study. Similarly, Singh et al. (2015) has also reported differences in fruit length and width at marketable stage (four days after anthesis) in different okra varieties. Farooq et al. (2002) has also reported that variations in fruit length and width were due to varietal differences. Makhadmeh et al. (2004) has shown wide variations in number of pods per plant (17 to 31) in different genotypes. Similarly, density of hairs on crown leaves (Agarwal and Katiyar, 1974) and leaf hairiness (Sharma and Agarwal, 1983) had a significant effect on the selection of oviposition sites by Earias vittella (Fab.). Conversely, several workers have reported that okra varieties showing greater fruit infestation had more hair density and soft skin (Teli and Dalaya, 1981). Chaudhuri et al. (1981) has also reported that fruit damage by E. vittella larvae was higher in open pollinated varieties than hybrids. The relationship between fruit characteristics and okra yield has been investigated by some scientists. There are some reports which describe that more productive plants had greater fruit lengths. More yields were obtained from varieties having greater ability to bear fruits on lateral branches (Blennerhassett and El-Zeftawi, 1986). The findings of present research are in agreement with those of Aryo et al. (1987) who revealed that fruit weight, fruit length, fruit width, and numbers of branches per plant had significant correlation with fruit yield per plant. Okra varieties belonging to different groups of resistance showed significant variations in physico-morphic characters. It was also observed that fruit and shoot infestation was the maximum on comparatively susceptible cultivars while infestation was significantly lower on comparatively resistant cultivars. Similarly, the pest produced significantly more eggs and larvae on comparatively susceptible cultivars as compared to comparatively resistant ones. Similarly, fruit was found to be significantly more in case of comparatively resistant varieties as compared to intermediate resistant and comparatively susceptible varieties. As comparatively resistant okra varieties viz. Bhindi Punjab Selection, Arka Anamika and Bhindi Sabazpari suffered less damage and yielded more and are therefore, recommended for cultivation to avoid damage by Helicoverpa armigera. Afzal, M., Mukhtar, K.M., Tahir, H.M., Ibrar-ul-haq, Babar, M.H. and Sherawat, S.M., 2015. Screening of different okra genotypes against fruit borer (Earias spp.) (Lepidoptera: Noctuidae) on okra crop. Pakistan J. Zool., 47: 1631-1635. Agarwal, R.A. and Katiyar, K.N., 1974. Ovipositional preference and damage by spotted bollworm (Earias fabia) in cotton. Cotton Develop., 4: 28-30. Akhter, M., Jabeen, F., Sultana, S., Sultana, T., Hussain, D. and Ali, A., 2014. Selection of different okra genotypes against Earias spp. (Lepidoptera: Noctuidae). J. Ent. Zool. Stud., 2: 138-141. Anonymous, 2006. Fruit, vegetables and condiments statistics of Pakistan. Ministry of Food, Agriculture and Livestock (Econ. Unit), Govt. of Pakistan, Islamabad, pp. 68. Ashfaq, M., Saleem, A., Waqas, M. and Mukhtar, T., 2017. Natural occurrence and host range studies of Cucumber Mosaic Virus (CMV) infecting ornamental species in Rawalpindi-Islamabad area of Pakistan. Philipp. Agric. Scient., 100: 55-61. Aslam, M.N., Mukhtar, T., Ashfaq, M. and Hussain, M.A., 2017a. Evaluation of chili germplasm for resistance to bacterial wilt caused by Ralstonia solanacearum. Australas. Pl. Pathol., 46: 289-292 https://doi.org/10.1007/s13313-017-0491-2. Aziz, M.A., Hasan, M., Ali, A. and Iqbal, J., 2012. Comparative efficacy of different strategies for management of spotted bollworms, Earias spp. on okra, Abelmoschus esculentus (L). Moench. Pakistan J. Zool., 44: 1203-1208. Chaudhuri, N., Pal, S. and Senapati, S.K., 1981. Fruit damage potential of Earias vittella (Fab.) as influenced by physical characters of okra fruit. Indian J. Ent., 66: 372-374. Hussain, M.A., Mukhtar, T. and Kayani, M.Z., 2014. Characterization of susceptibility and resistance responses to root-knot nematode (Meloidogyne incognita) infection in okra germplasm. Pak. J. agric. Sci., 51: 319-324. Javed, H., Aziz, M.A. and Leghari, R.A.K., 2009. Resistance in different okra varieties against American bollworm (Helicoverpa armigera Hub.). J. agric. Res., 47: 433-438. Javed, H., Hussain, S.S., Javed, K., Mukhtar, T. and Abbasi, N.A., 2017a. Comparative infestation of brinjal stem borer (Euzophera perticella) on six aubergine cultivars and correlation with some morphological characters. Pak. J. agric. Sci., 54: 763-768. Kassi, A.K., Javed, H. and Mukhtar, T., 2018. Screening of okra cultivars for resistance against Helicoverpa armigera. Pakistan J. Zool., 50: 91-95. Mastoi, A.H., Memon, S.A. and Haq, W., 2013. Varietal resistance of okra against whitefly (Bemisia tabaci) and fruit borer (Earias spp.). Schol. J. agric. Vet. Sci., 3: 78-82. Reddy, K.S., Rao, G.R., Rao, P.A. and Rajasekhar, P., 2004. Life table studies of the Capitulum Borer, Helicoverpa armigera (Hübner) infesting sunflower. J. entomol. Res., 28: 13-18. Sharma, H.C. and Agarwal, R.A., 1983. Ovipositional behaviour of spotted bollworm Earias vittella (Fab.) on some cotton genotypes. Insect Sci. Applic., 4: 373-376. Sharma, H.C. and Ortiz, R., 2002. Host plant resistance to insects: An eco-friendly approach for pest management and environment conservation. J. environ. Biol., 23: 11-35. Singh, B., Chaubey, T., Upadhyay, D.K., Aastik, J.H.A., Pandey, S.D. and Sanwal, S.K., 2015. Indian Council of Agricultural Research, New Delhi, India. Indian J. agric. Sci., 85: 1192-1200. Teli, V.S. and Dalaya, V.P., 1981. Studies on varietal resistance in okra (Abelmoschus esculentus (Linn.) Moench) to the shoot and fruit borer, Earias vittella Fabricius. South Indian Hort., 29: 54-60.